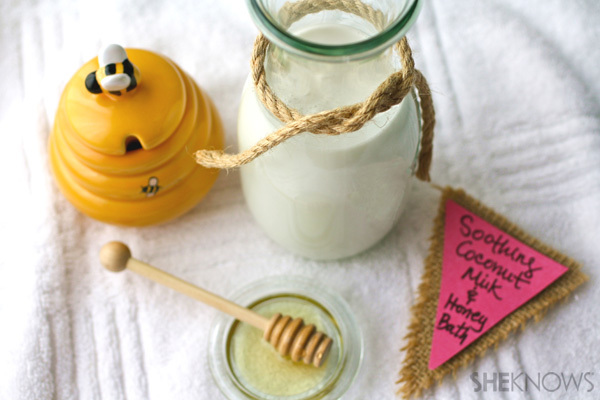 It doesn’t get any easier when it comes to making a soothing DIY bath soak. Just combine two nourishing ingredients you likely have in your kitchen to do the trick! Have you ever daydreamed about spending some time in a relaxing and soothing bath? 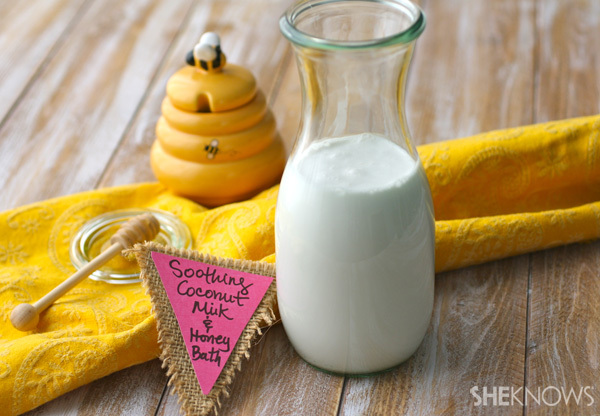 Turn your dreams into reality, right in your own home, with a DIY soothing coconut milk and honey bath. Not only can this help you relax and melt away your stress, but you’ll emerge with softened skin. Coconut milk takes on double duty for your skin, acting as a gentle exfoliator, and moisturizer to hydrate your skin (thanks to its vitamin content like A and C, as well as protein). 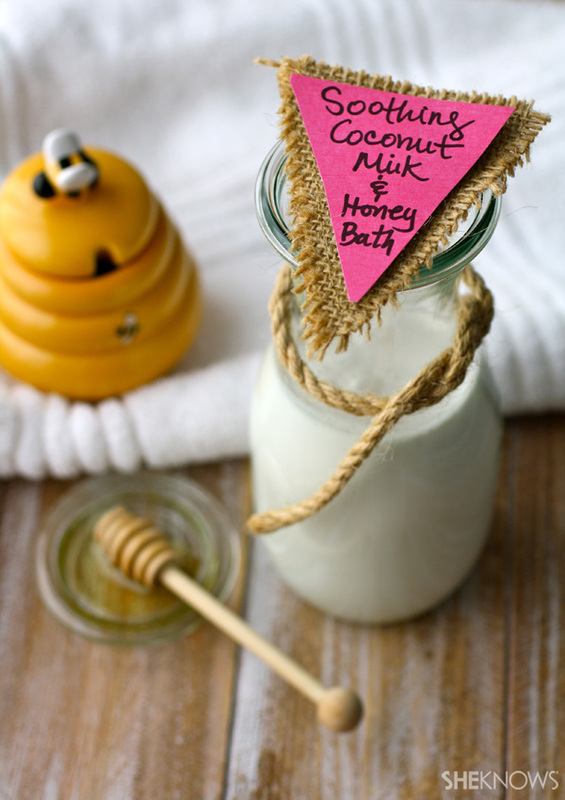 The honey in this bath is good for skin, too. Honey has natural antibacterial properties and also provides moisture to dry skin. If you’d like, you can add a few drops of pure lavender essential oil. Adding the lavender scent can help you relax even further. Note: If you are pregnant, you should consult your health care provider before using Epsom salt. Also, if pregnant or you have other health concerns, you should not use essential oils. For facts and safety information of essential oils and aromatherapy, check out the National Association for Holistic Aromatherapy. 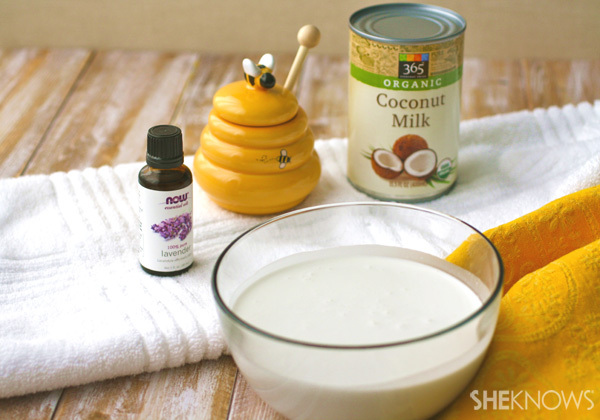 Add the coconut milk and honey to a medium-sized bowl. If the coconut milk has separated in the can, be sure to first stir it thoroughly. Mix to combine. If you’d like, you can add the mixture to the microwave and heat for just 10 seconds. The heat will help the honey dissolve quicker. Pour the mixture into a full tub of very warm water. Add the lavender drops, if using, and mix the water well with your hand before soaking.